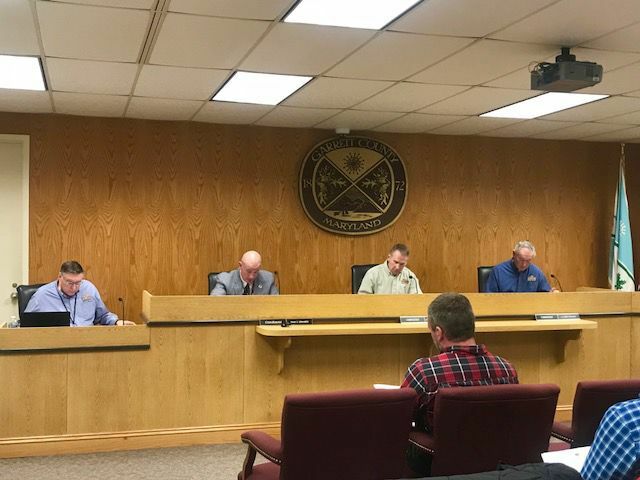 The Garrett County commissioners awarded a bid for two Facilities and Maintenance Department projects during their public meeting at the courthouse last week. “After reviewing the bids for compliance with administrative requirements and based on the feedback received from the Facilities and Maintenance Department, the recommendation is to award the bid to Success Floor Covering,” Bowers said. He noted there is an appropriation of $36,000 in the county’s Fiscal Year 2018 budget to fund both of the projects. The commissioners agreed with the bid review committee’s recommendation and accepted Success Floor Covering’s offer. If the county’s choice of carpeting is in stock, Success Floor Covering has 30 calendar days to purchase/install the carpet for the Roger Glotfelty Building project. The business has 20 days to complete the Visitors Center initiative. The commissioners’ next public session is scheduled for 4 p.m. Tuesday, Feb. 20, in their meeting room at the courthouse in Oakland. Requests to be on that agenda must be made to Carol Riley-Alexander, executive assistant to the commissioners and county administrator, by 1 p.m. one week prior to the public meeting day. She can be contacted at 301-334-8970.